Gives peace of mind knowing customers can view all of your products in clear, crisp detail. Provides choice of zoom: magnify, zoom, preview, enlarge, deep zoom. Include YouTube & Vimeo product videos in your product image gallery. 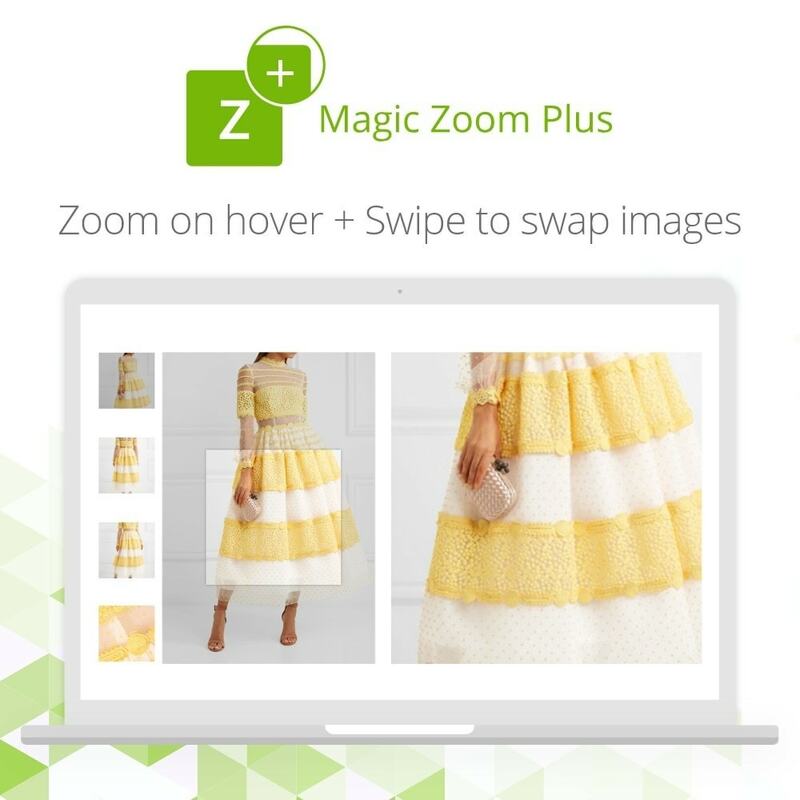 Allows you to install in seconds; customize in minutes thanks to the Magic Zoom Plus Settings page. Whether you have 10 or 30,000+ products, it's vital you show your customers what you're selling. 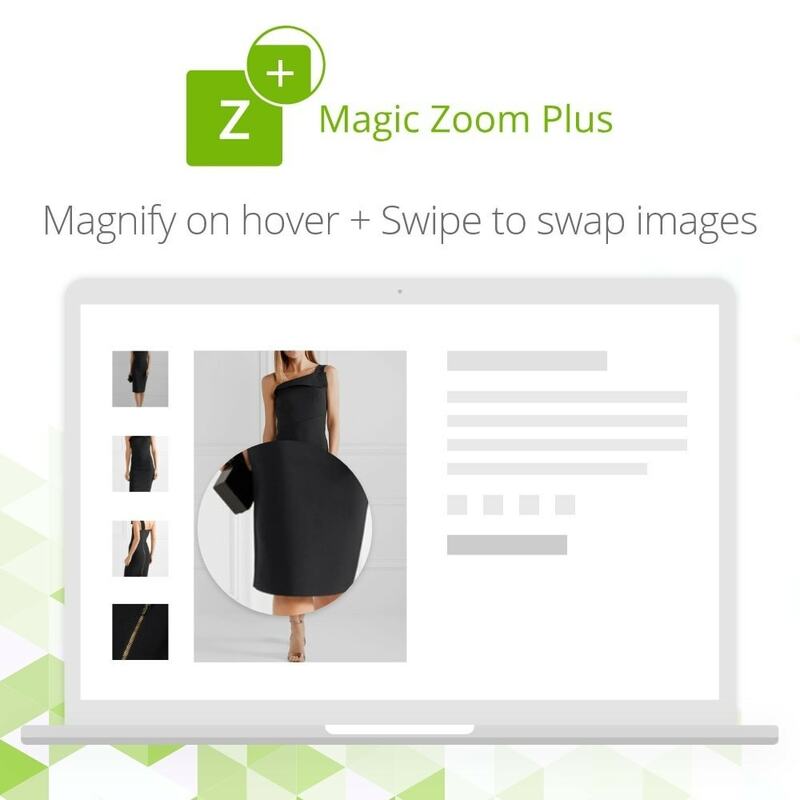 Thanks to Magic Zoom Plus, customers can zoom product images with precision & style. Study images close-up with a round magnifying glass, zoom or preview effect. Swipe images left/right to quickly browse images on touchscreens. Fast image previews at a specified size - perfect for a quick look on category pages. Enlarged images have been completely redesigned to complement full-screen view. Immersive new full-screen shows even bigger images and thumbnails to skip images. Show stunning hi-res images on retina screens. Refine the experience by choosing separate settings for mobile devices. Improved responsive design to naturally fit your page better than ever. 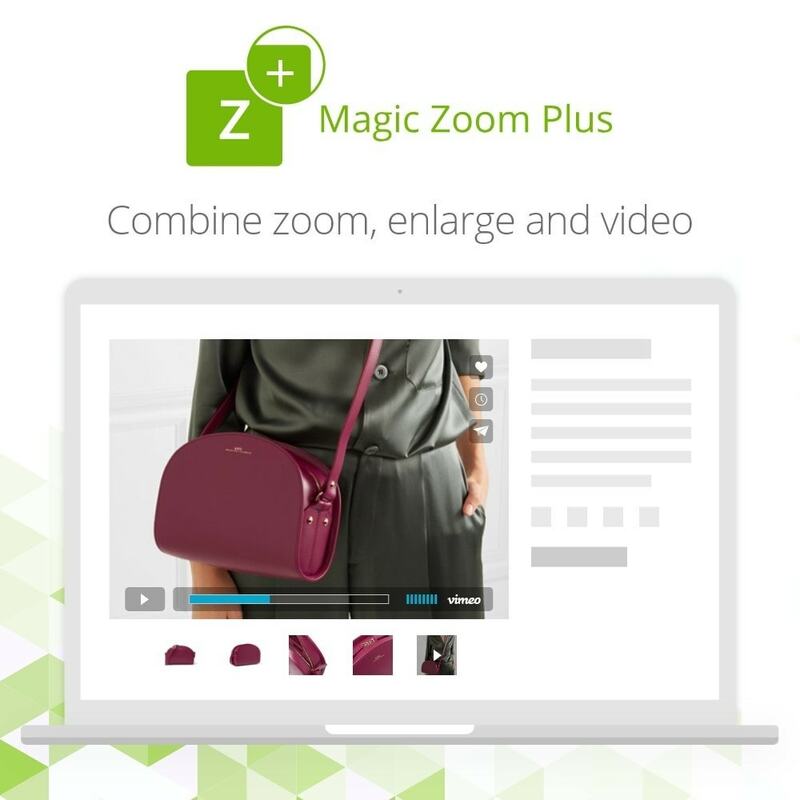 Every detail of Magic Zoom Plus has been refined, culminating in an entirely enhanced user experience. Faster loading and image rendering give the best performance yet. 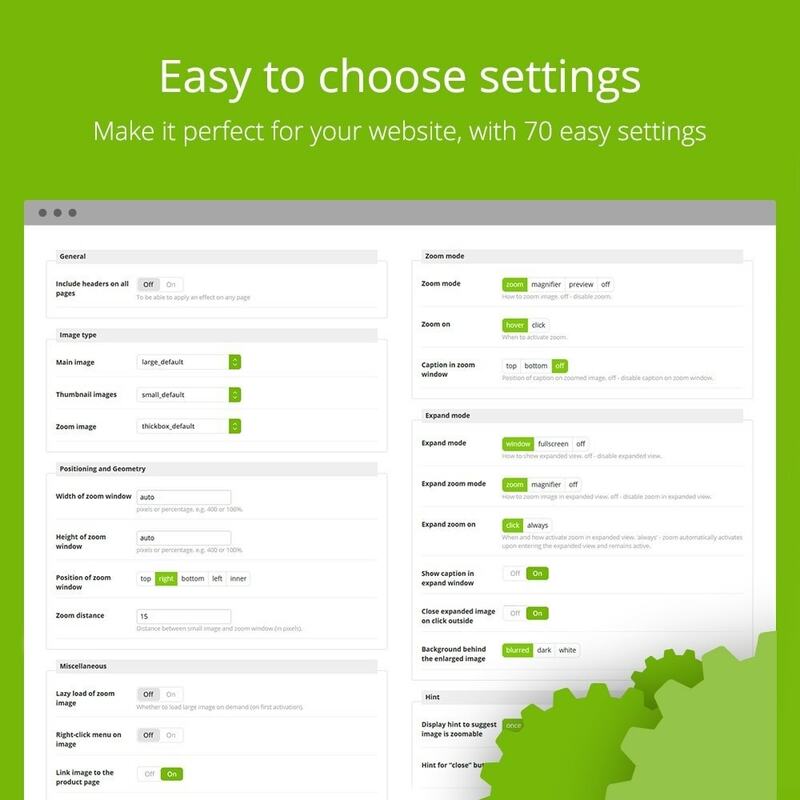 Style it to suit your site with fully customizable Magic Zoom Plus Settings page. 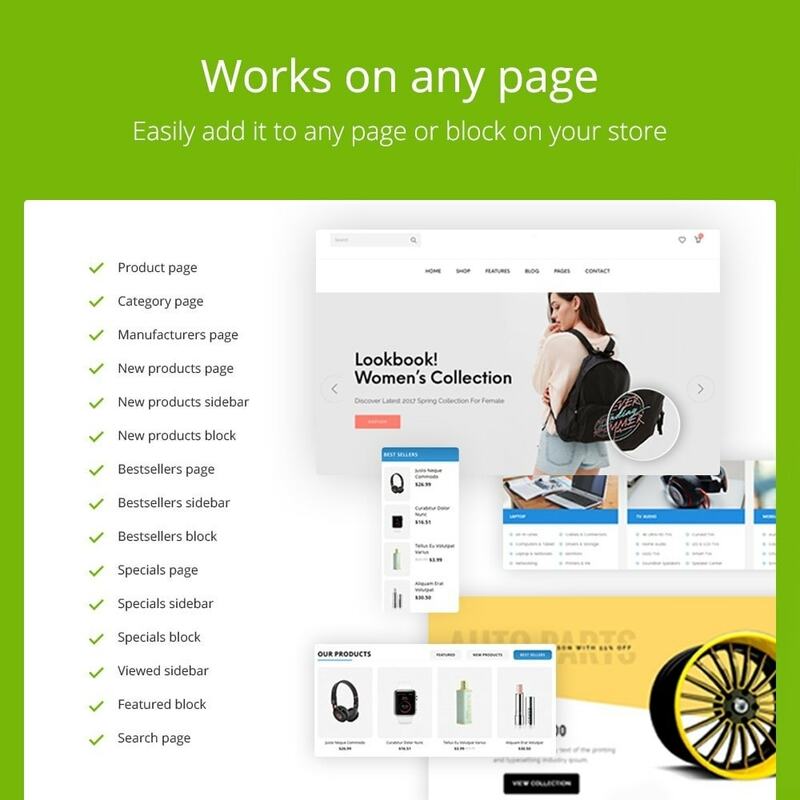 Enable Magic Zoom Plus throughout your store: Product details page; Category page; Search page; Featured products; Viewed products block; Manufacturers page + 8 other sections. Shop anywhere at anytime thanks to full support for iOS (iPad/iPhone) and Android devices. 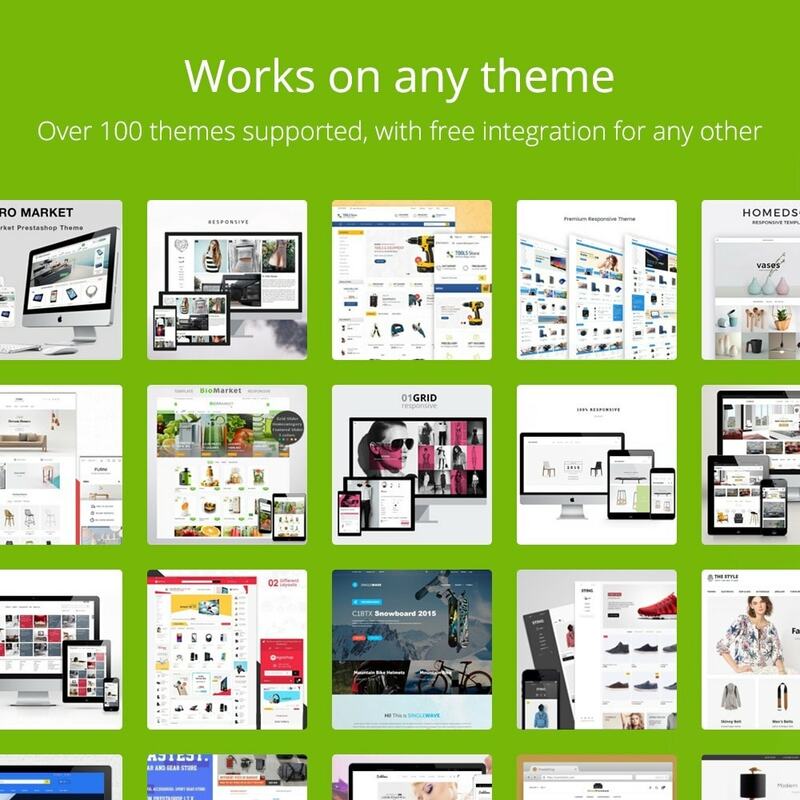 View product images in detail without clicking into the product page – saves time. Customers like to choose how they shop online. By providing zoom/enlarge effects & product videos, your customers will enjoy their shopping experience even more. Admin > Modules and Services > Modules and Services > Magic Zoom Plus > Configure. Want to display zoom & 360 degree spins on the same product page? 1. 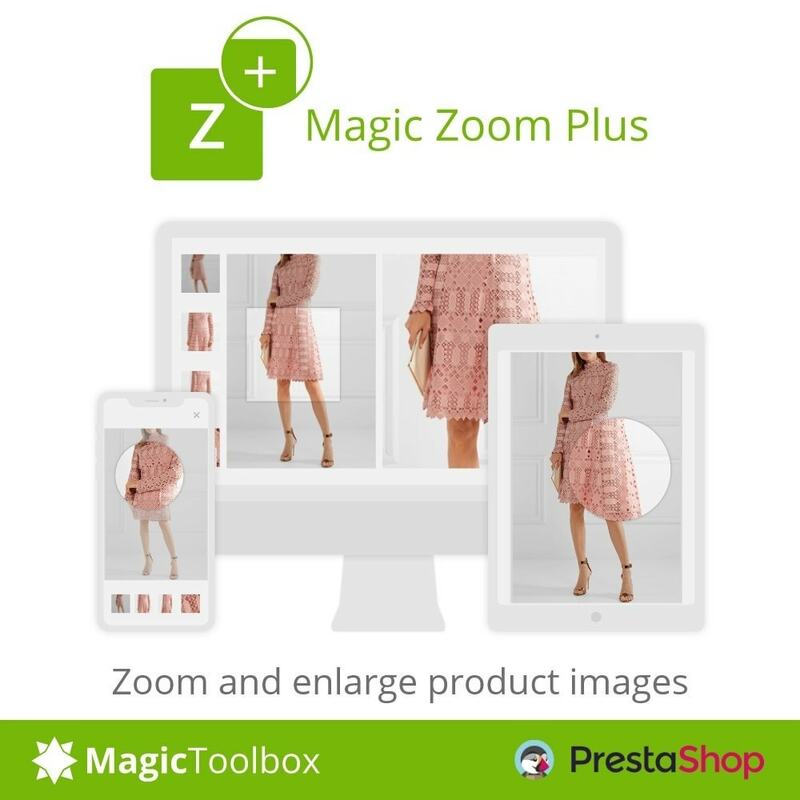 Download the PrestaShop module for Magic Zoom Plus. 2. 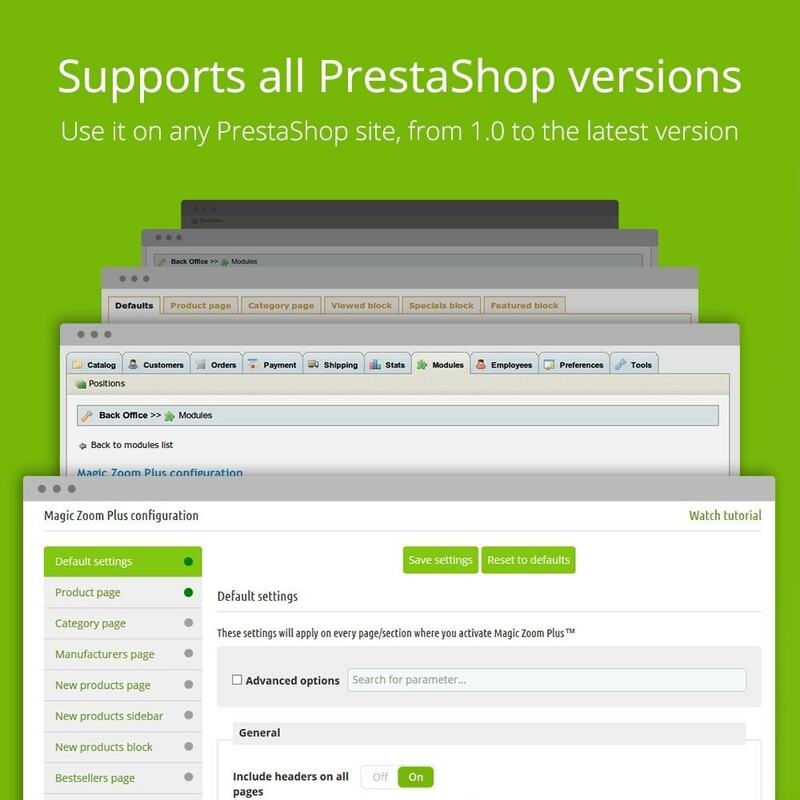 Either upload it via your PrestaShop admin area [Modules > Add a module from my computer > Module file > Browse > Upload this module]. Or unzip the file on your computer and FTP the 'magiczoomplus' folder to the /modules/ directory of your store, keeping the file and folder structure intact. 3. Activate the module via the Modules menu [Modules > Other Modules > Magic Zoom Plus > Install]. 4. Magic Zoom Plus is now installed!